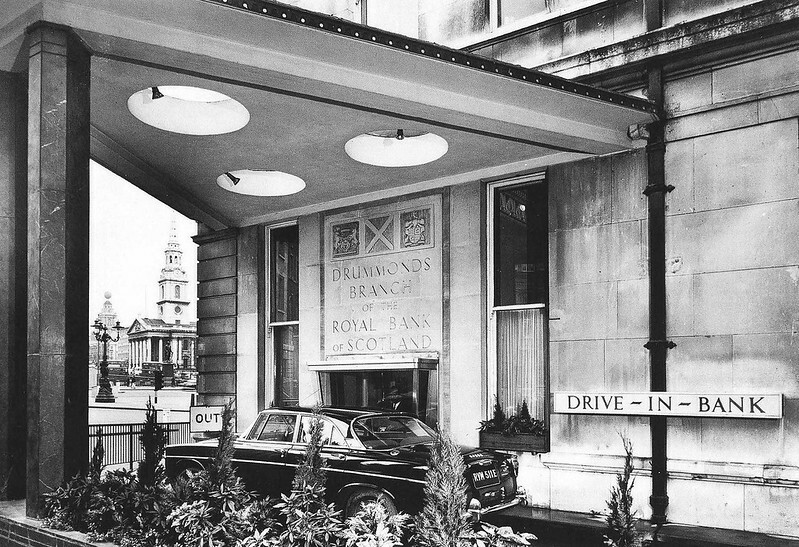 In 1961 Drummonds Bank on the corner of Whitehall and the Mall installed the first Drive-in-Bank in the UK. The cashier’s till was discreetly screened by flower beds and the drive through lane was wide enough for the limousines of its well heeled customers. Image published by Leonard Bentley on 2012-08-12 09:30:57 and used under Creative Commons license.